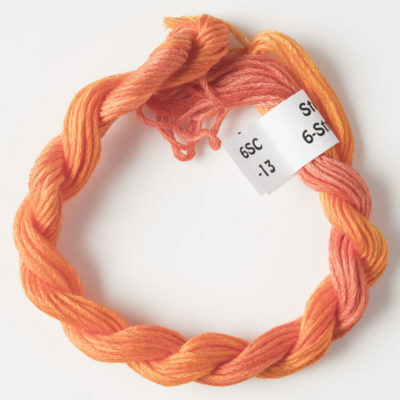 6 stranded cotton, hand dyed by Stef Francis and Anna Francis using space dyed techniques unique to Stef Francis. 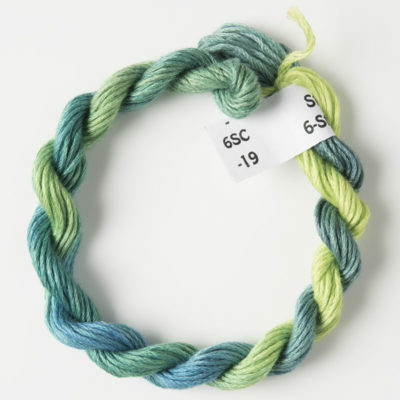 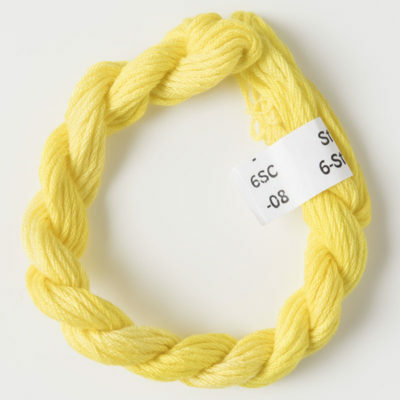 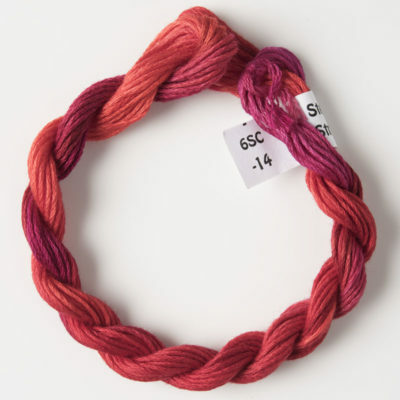 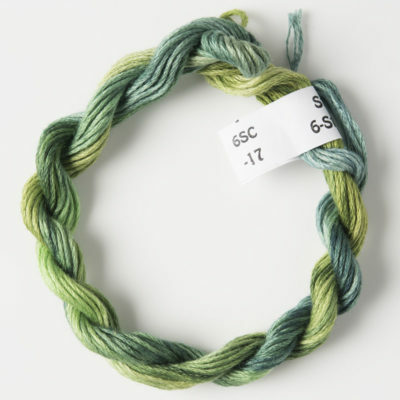 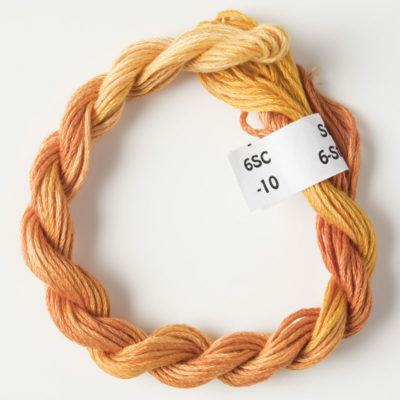 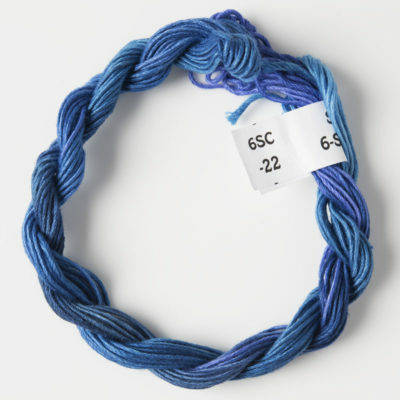 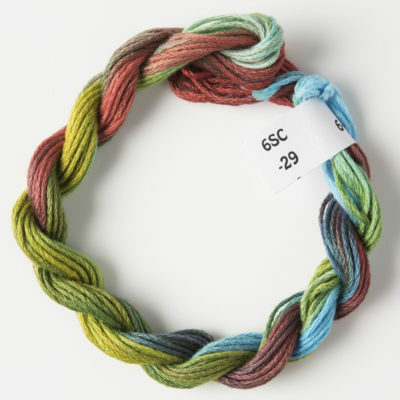 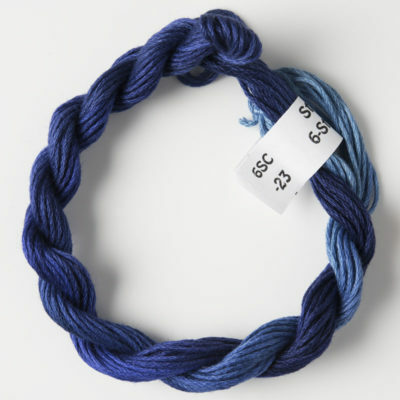 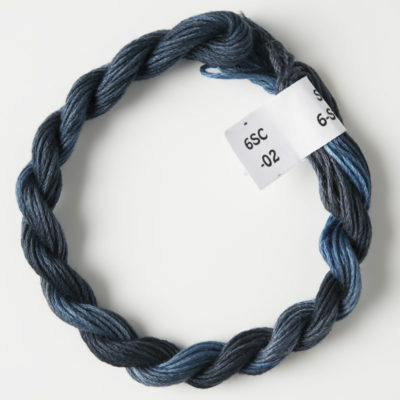 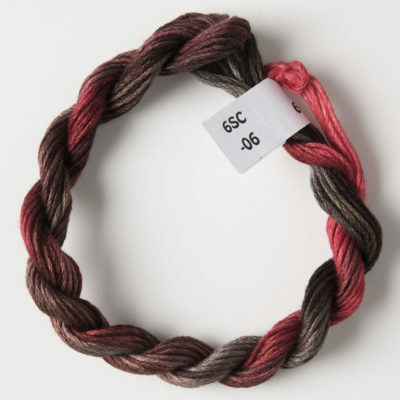 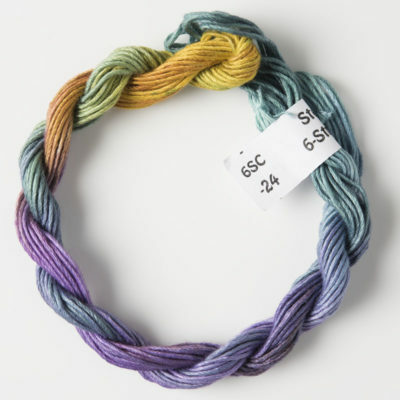 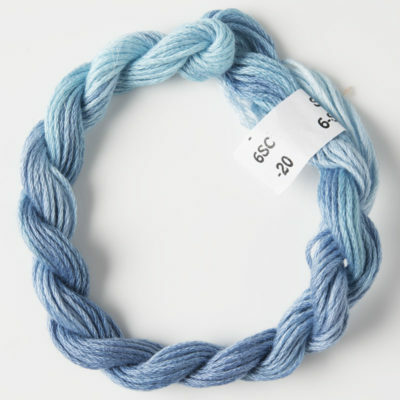 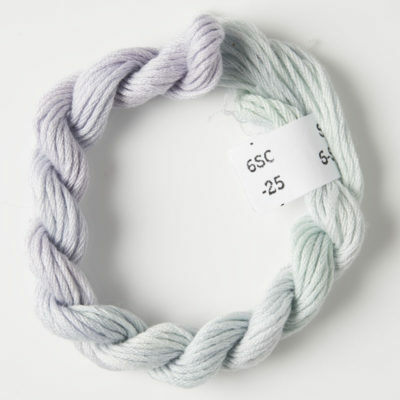 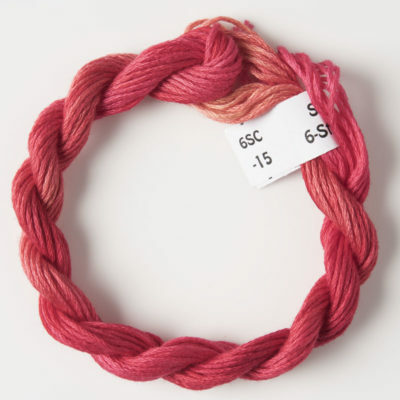 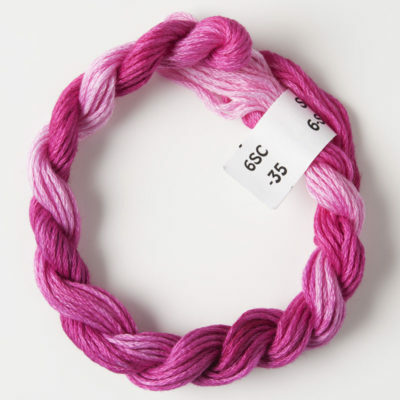 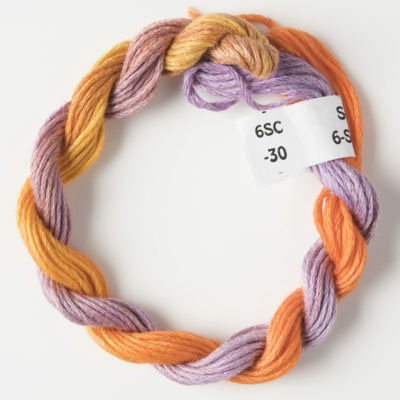 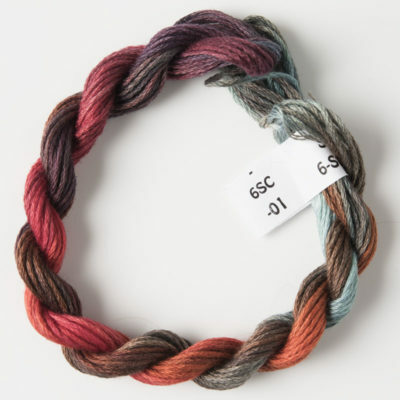 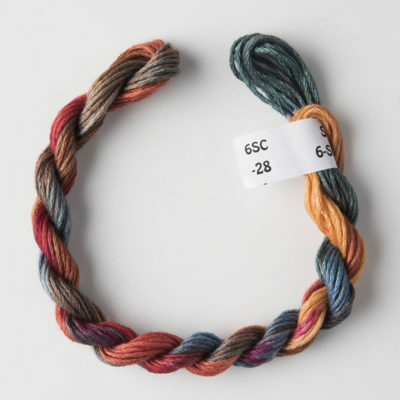 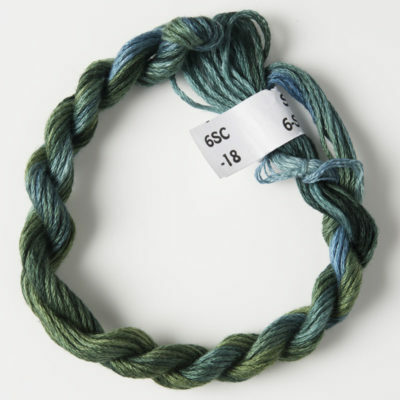 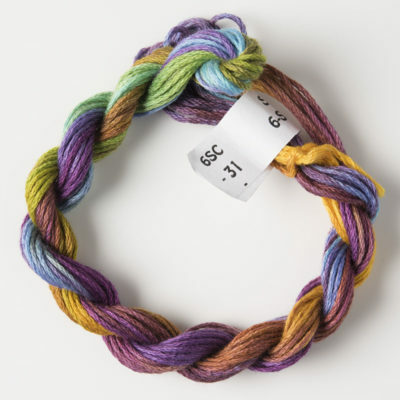 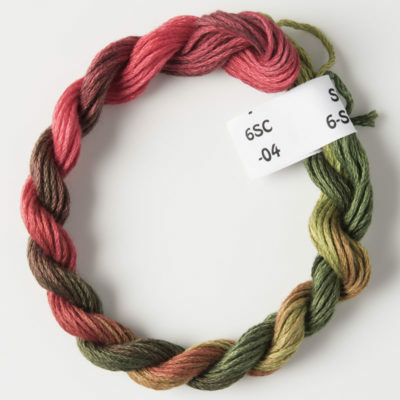 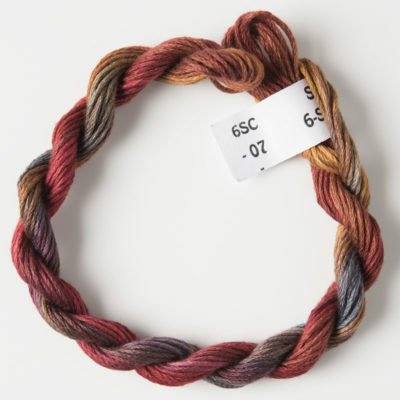 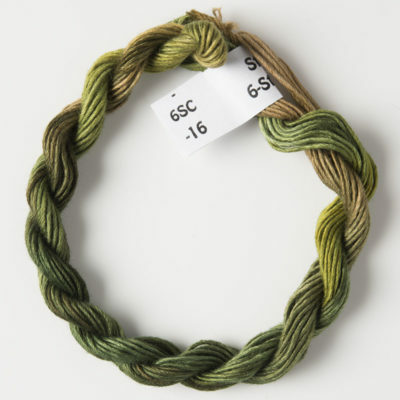 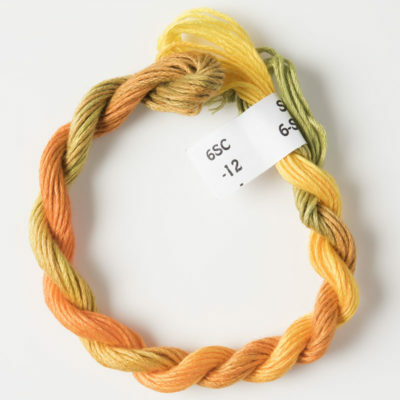 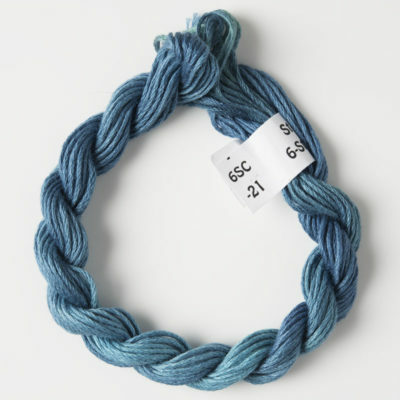 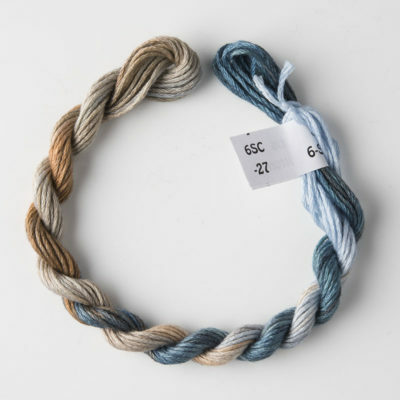 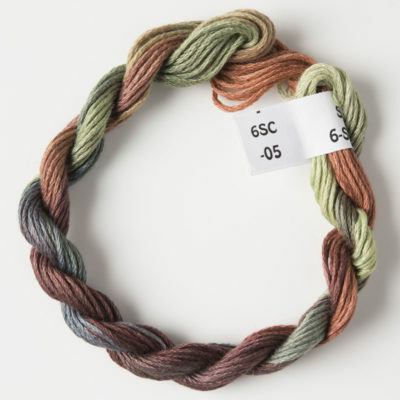 The yarn consists of a 6 strands of medium weight cotton. 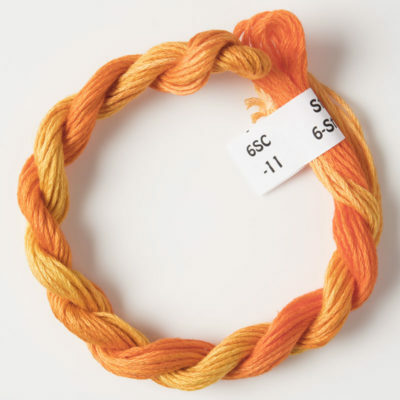 This can be split down to fewer strands when finer threads are required. 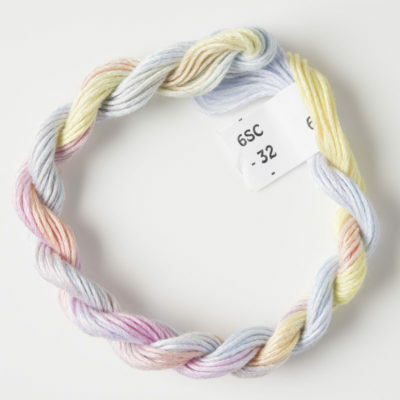 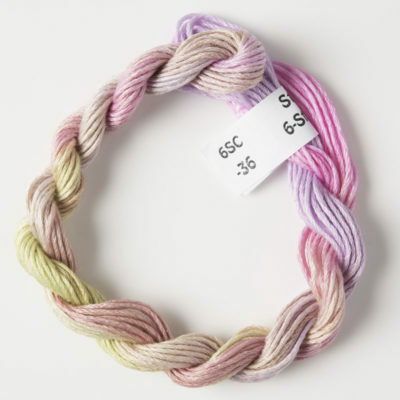 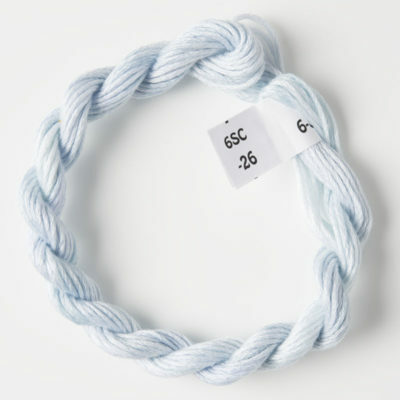 6 stranded cotton can be used for embroidery and needle point.